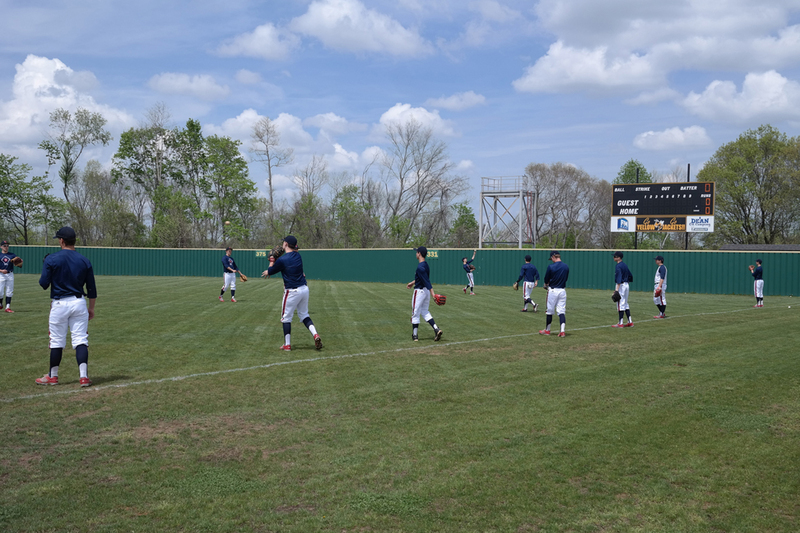 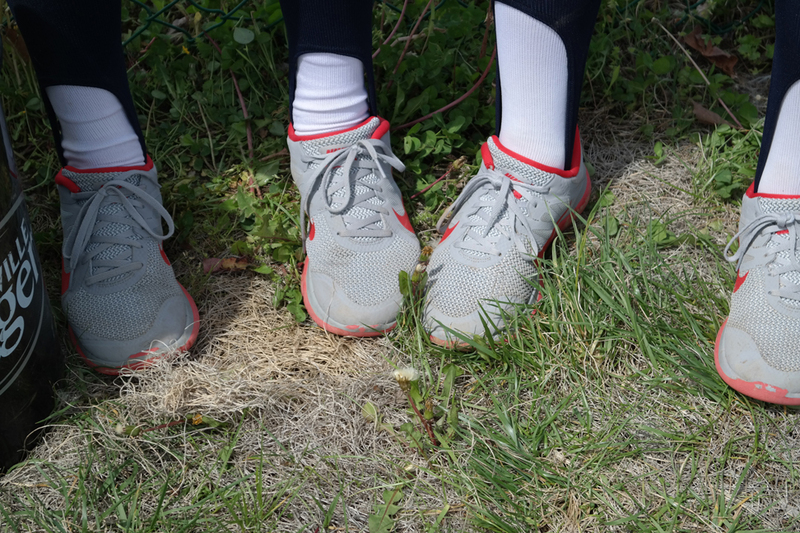 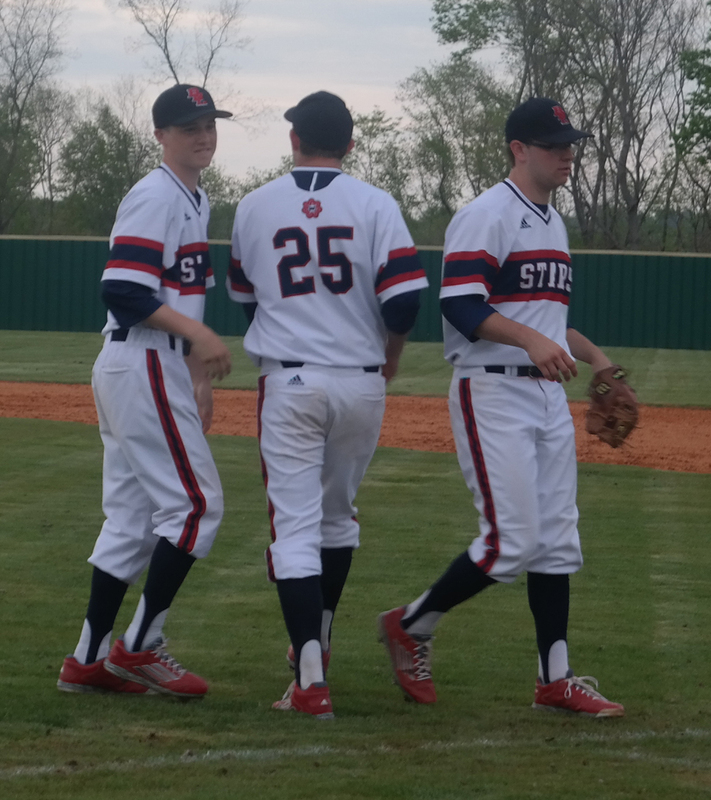 - The Stars were able to avoid the weather and play three games while in Springfield, TN as a participant in the Yellow Jacket Classic. 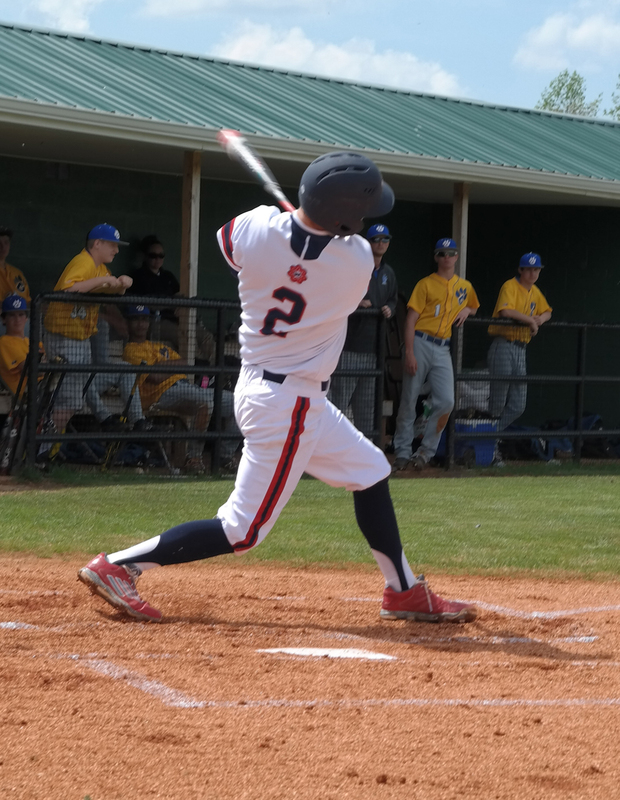 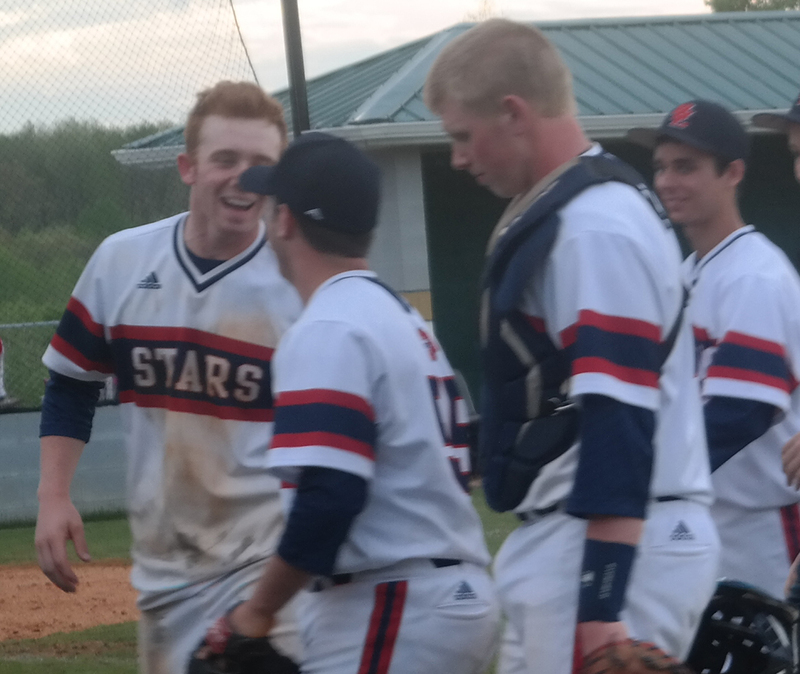 The Stars scored 3 in the first as Ronnie Watson, Drew Hensley, Cole Mathews and Brody Tanksley all singled to provide the crooked number in the first inning. 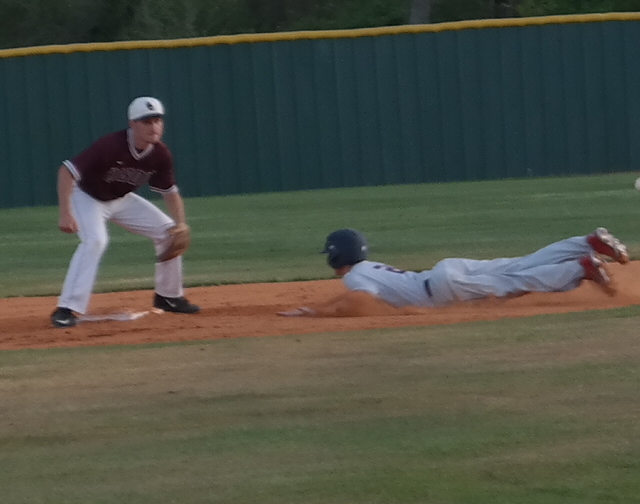 Station Camp answered with two runs in the bottom of the 1st. 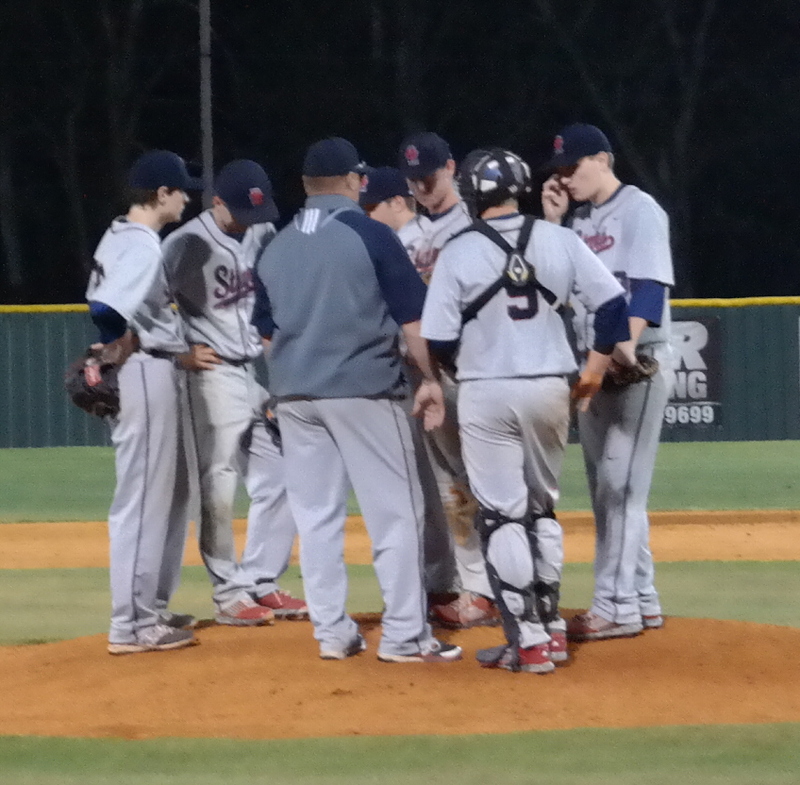 Both pitchers worked scoreless 2nd, 3rd, 4th innings. 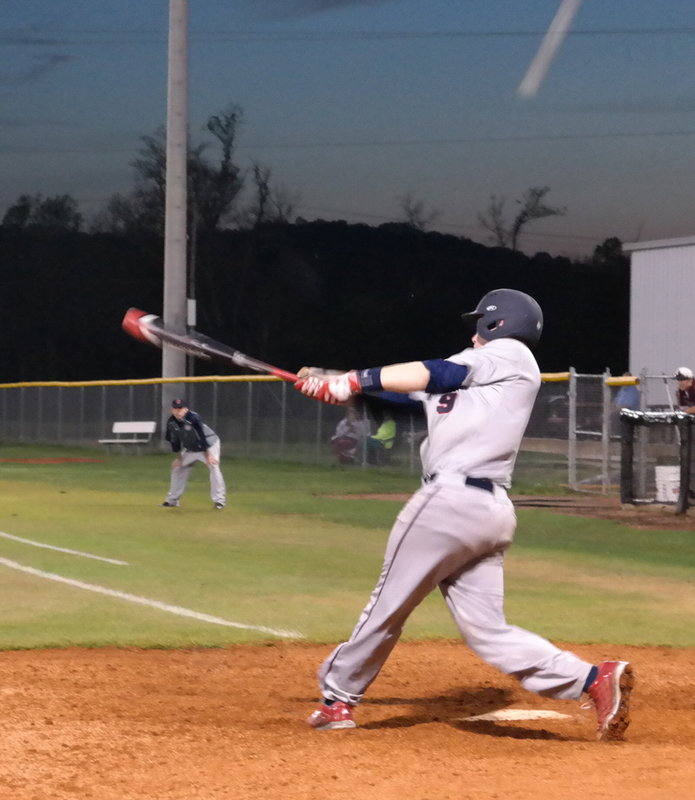 The Stars pushed three across in the top of the 5th with big hits from Jack Green and Tanner McBride. 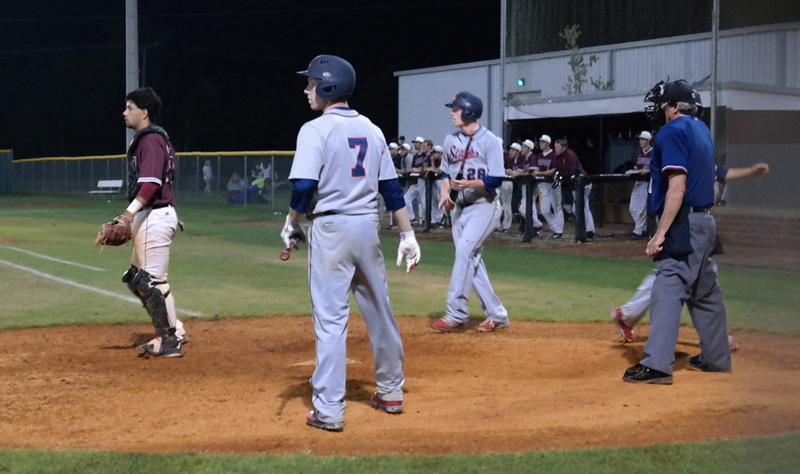 The Stars finished the night with four more runs in the top of the 7th with hits from Ronnie Watson, Drew Hensley, a double by Mathews and a hit from Patrick Price. 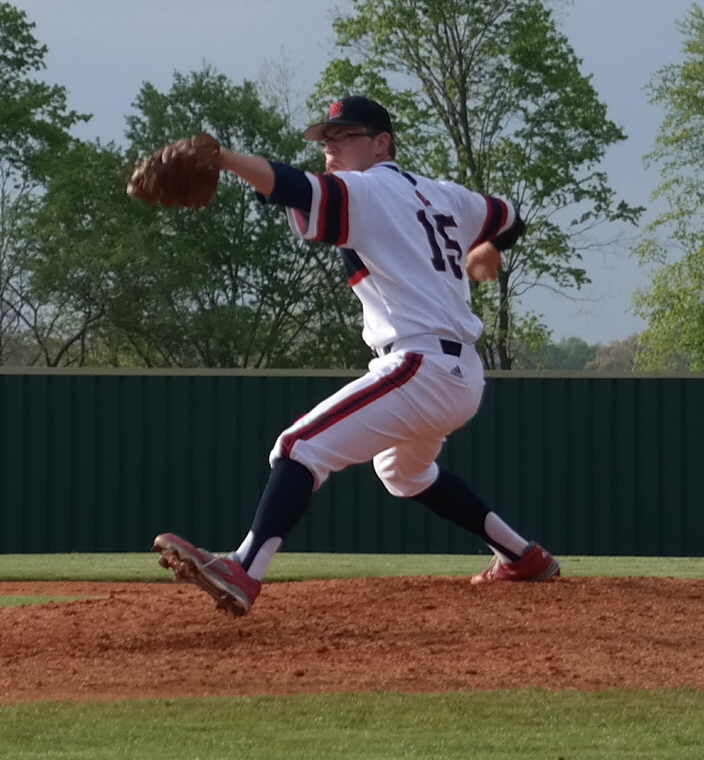 On the mound, Drew Hensley pitched a complete game allowing 2 runs on 7 hits while striking out 9 and giving up 0 walks. 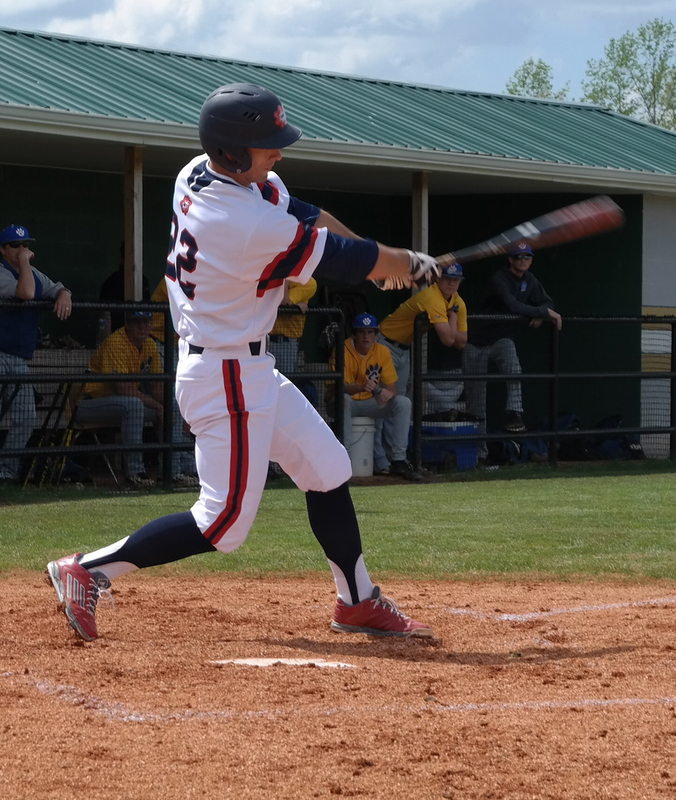 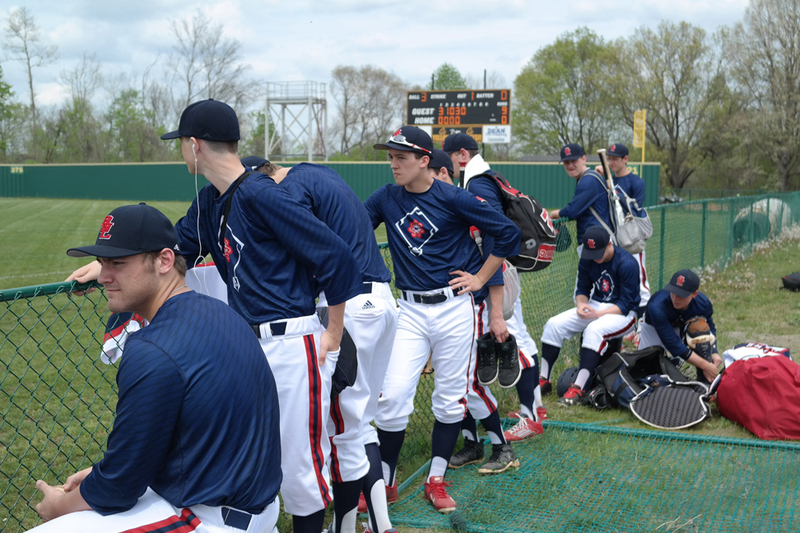 The Stars scored four runs in the first two innings against the Cougars, but struggled from the third inning on. 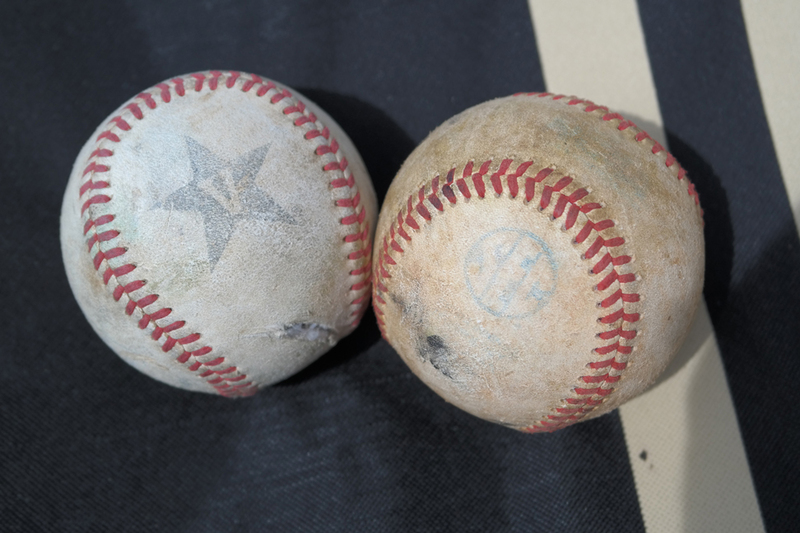 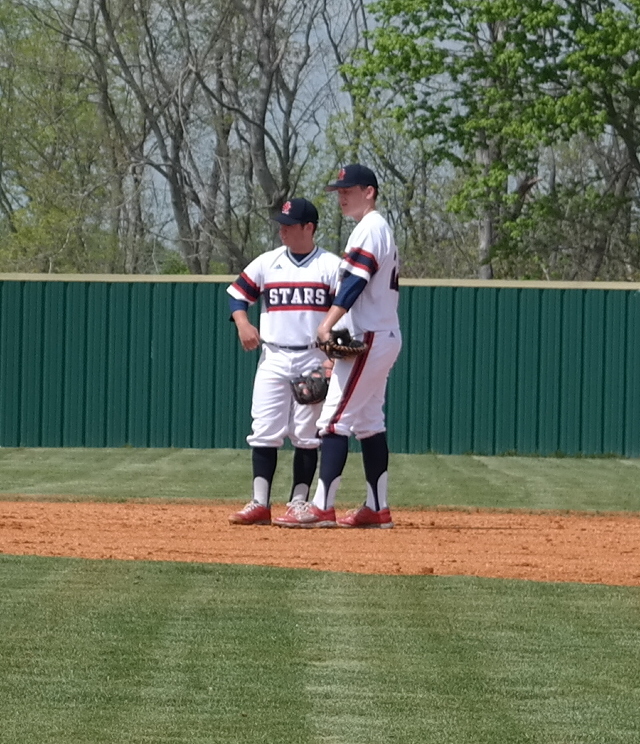 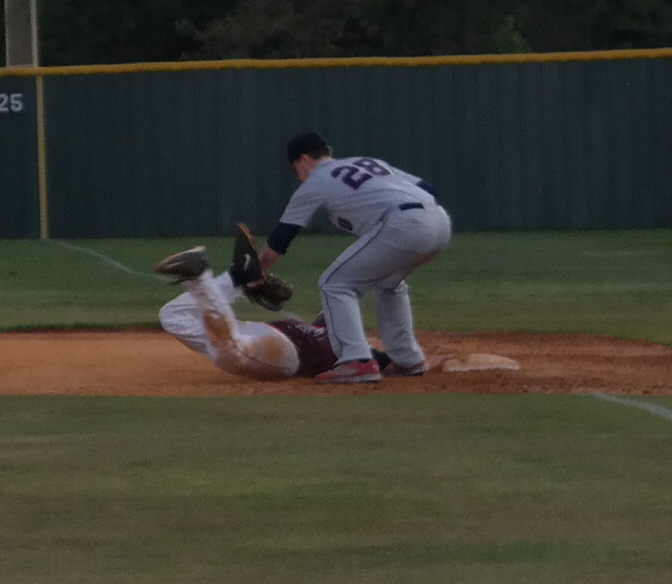 In the first, Patrick Price and Jake Alvey had hits for the Stars as they scored an unearned run. 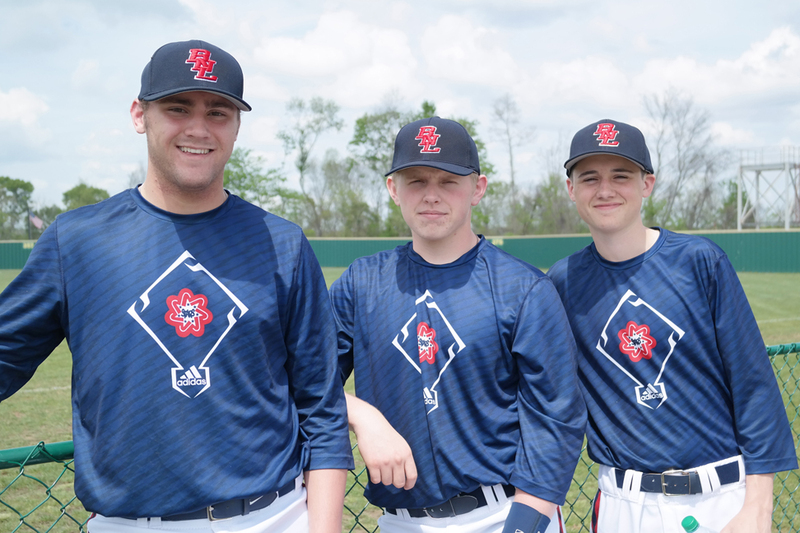 In the 2nd inning, Jack Green, Ronnie Watson, Drew Hensley (2B) and Cole Mathews had the hits that led to the three runs to give the Stars a 4-1 lead. 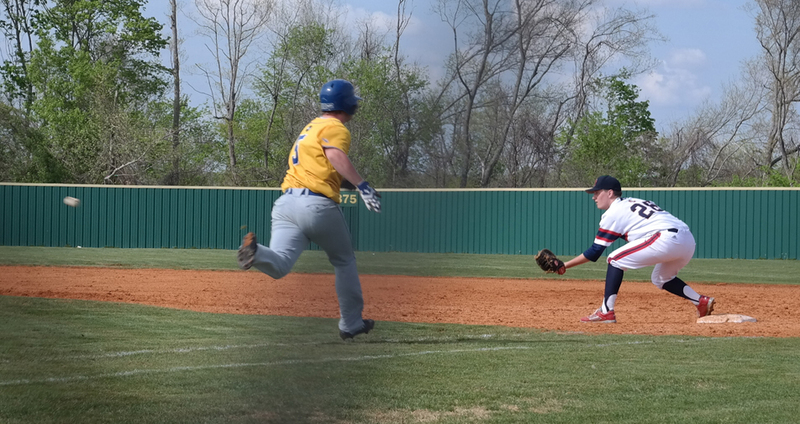 Goodpasture chipped away at the lead with 1 run in the 2nd, 2 runs in the 4th and 1 more in the 5th to tie the score at 4-4. 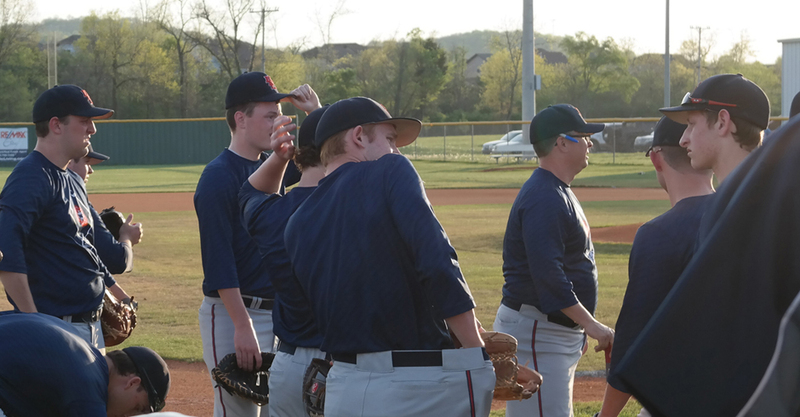 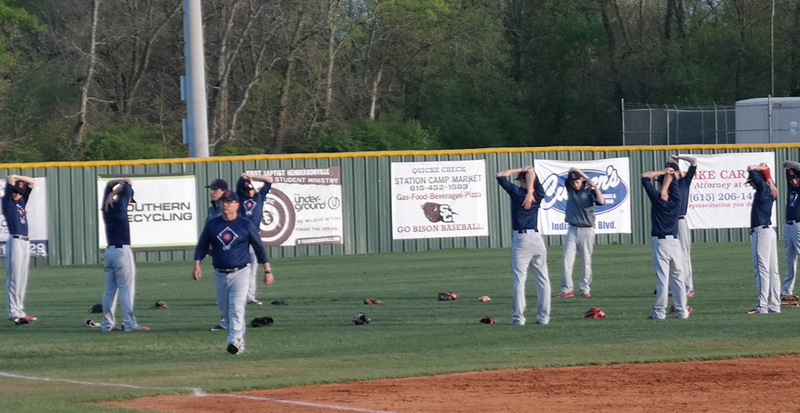 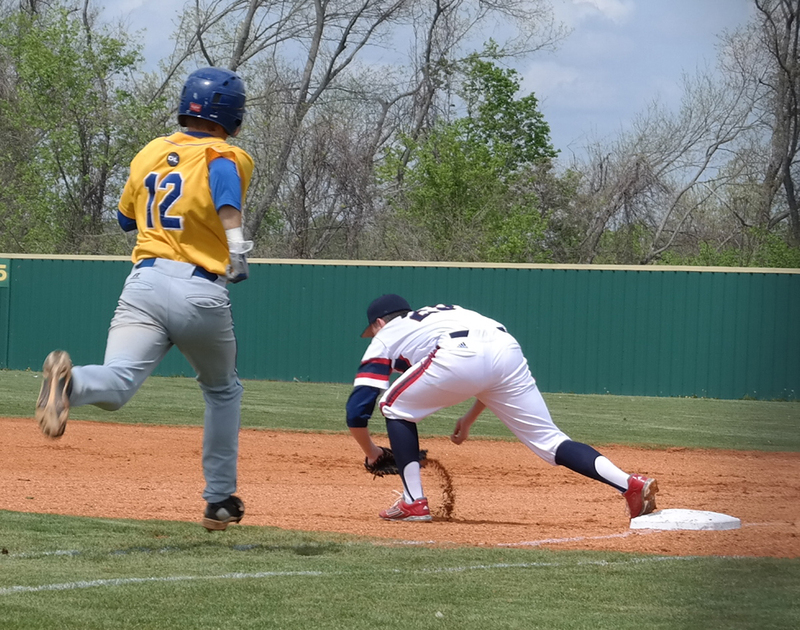 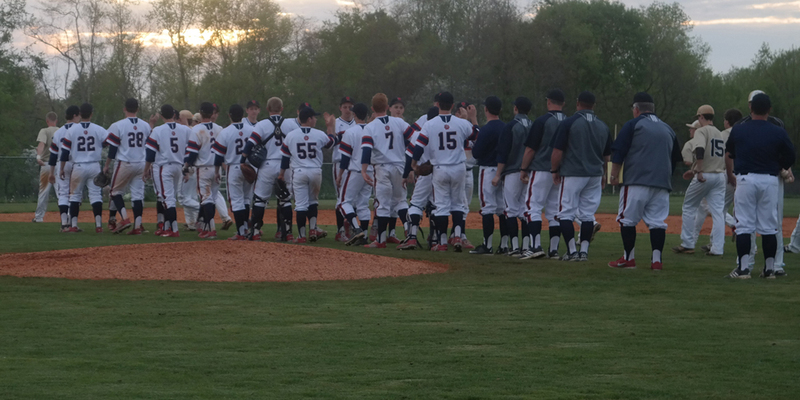 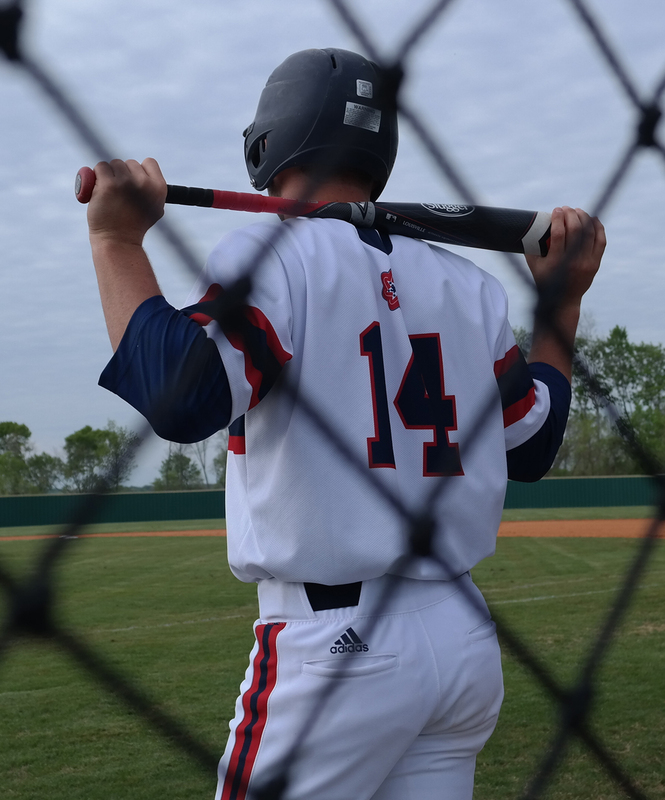 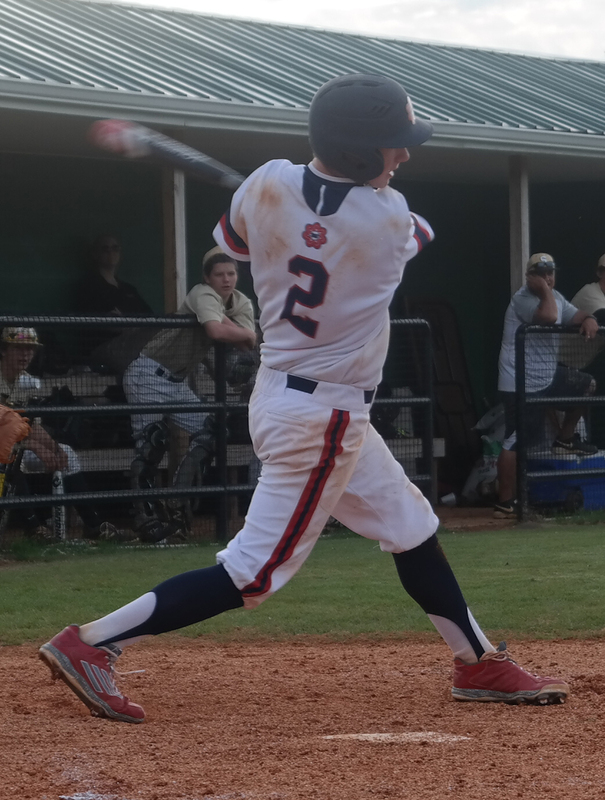 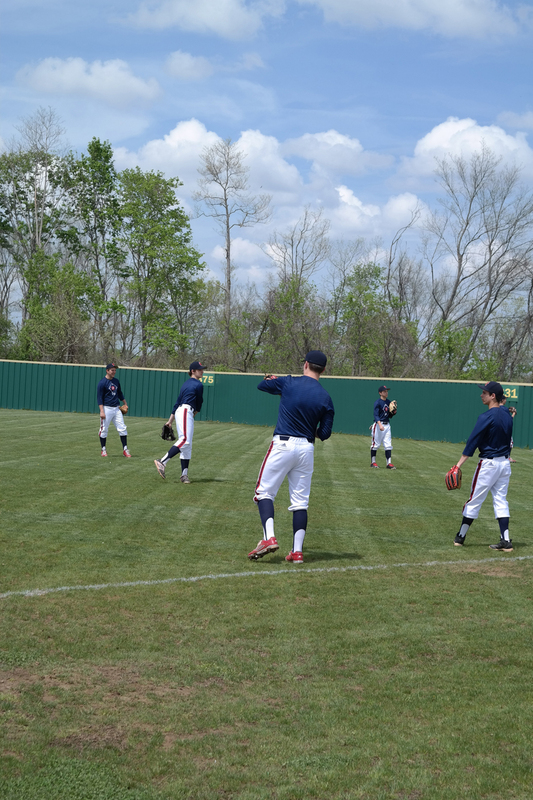 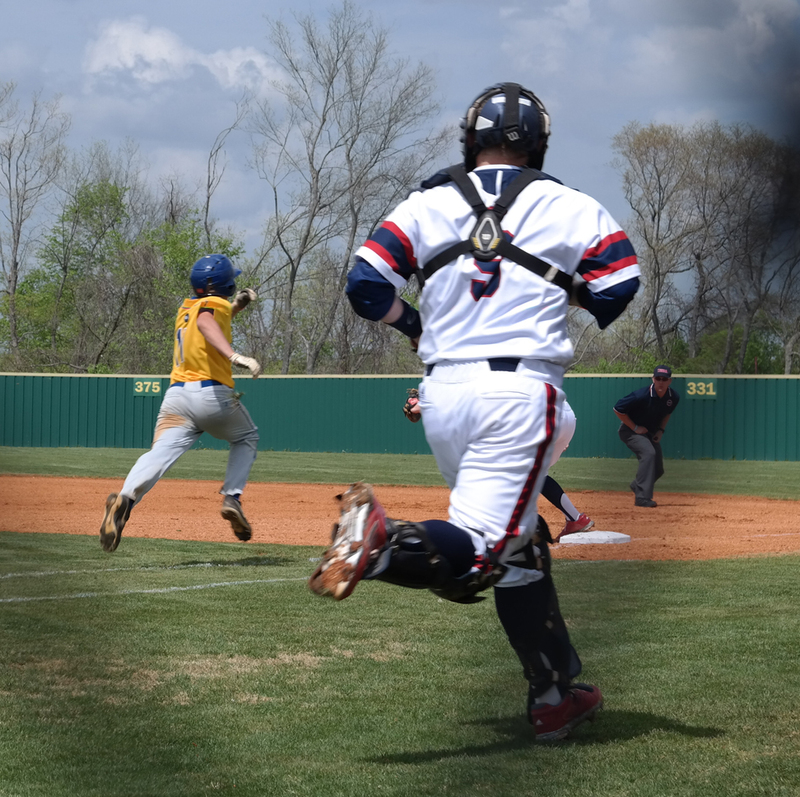 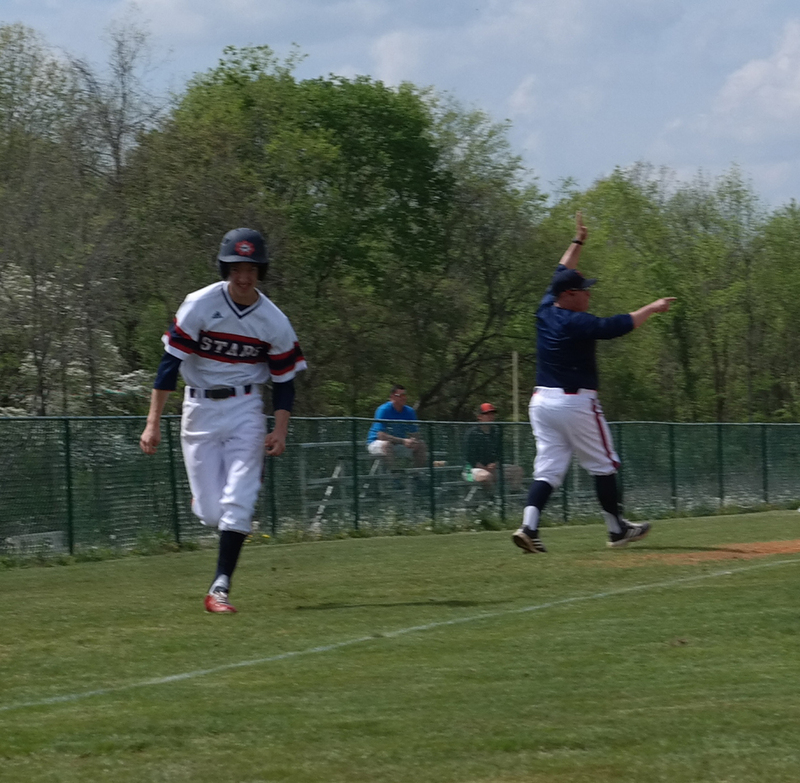 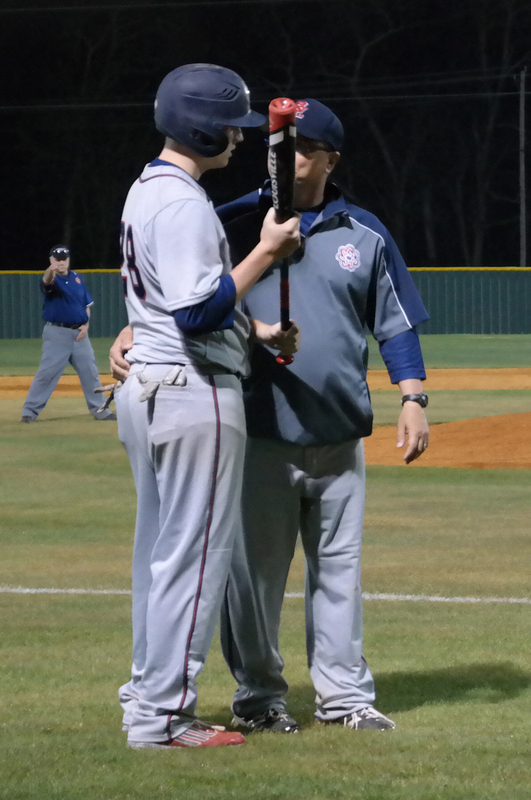 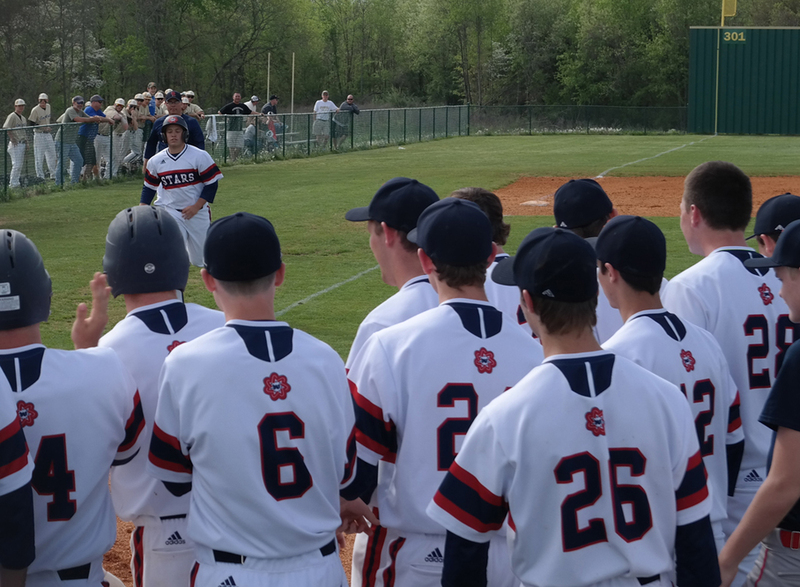 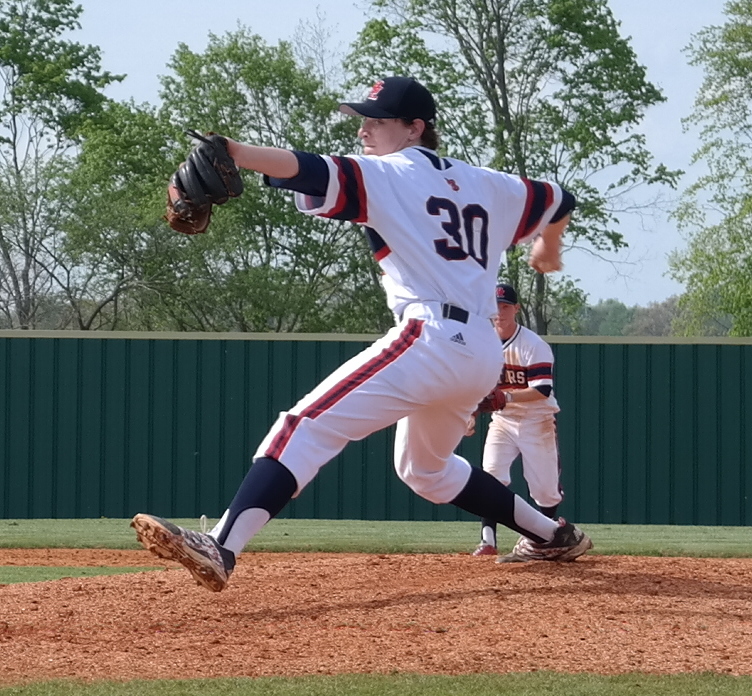 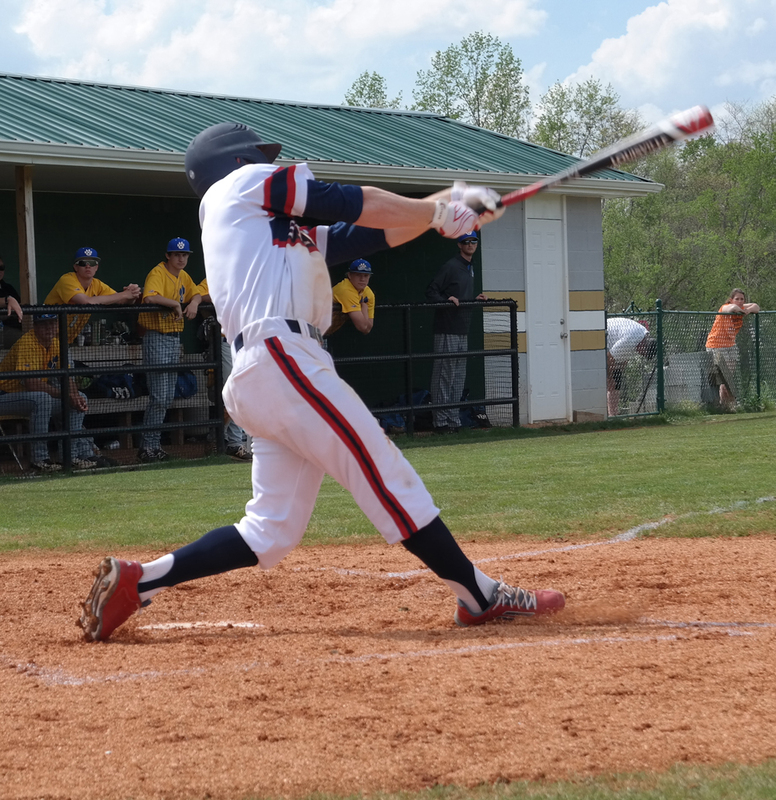 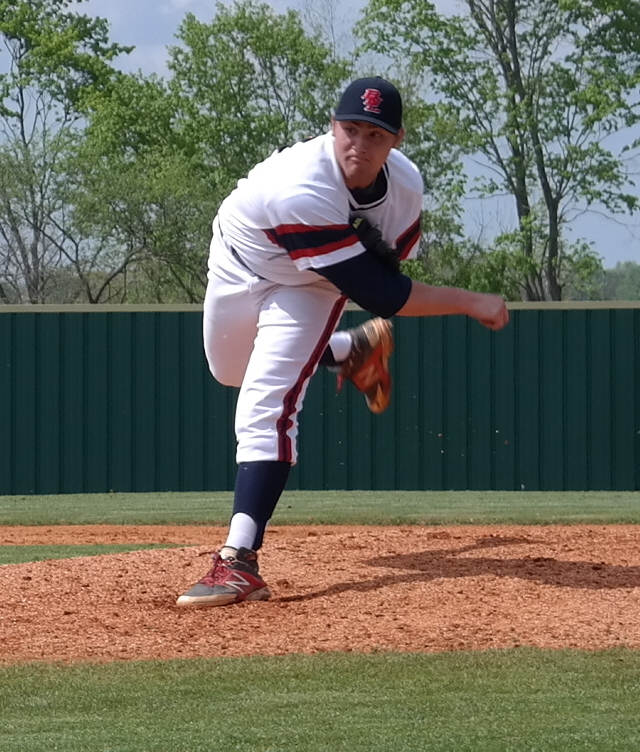 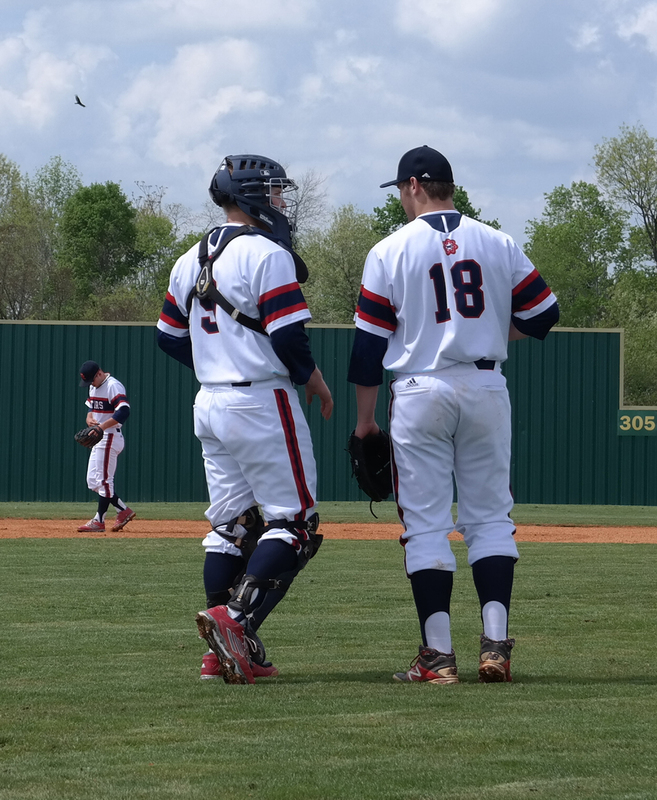 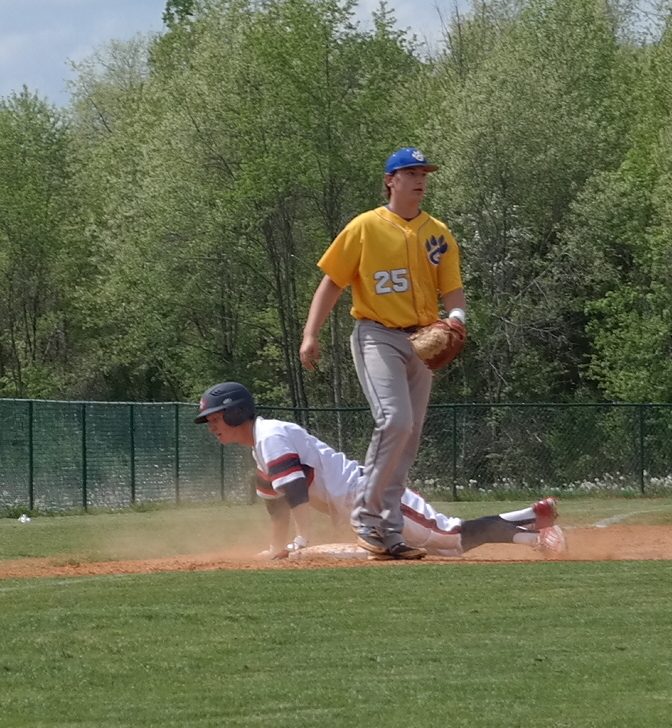 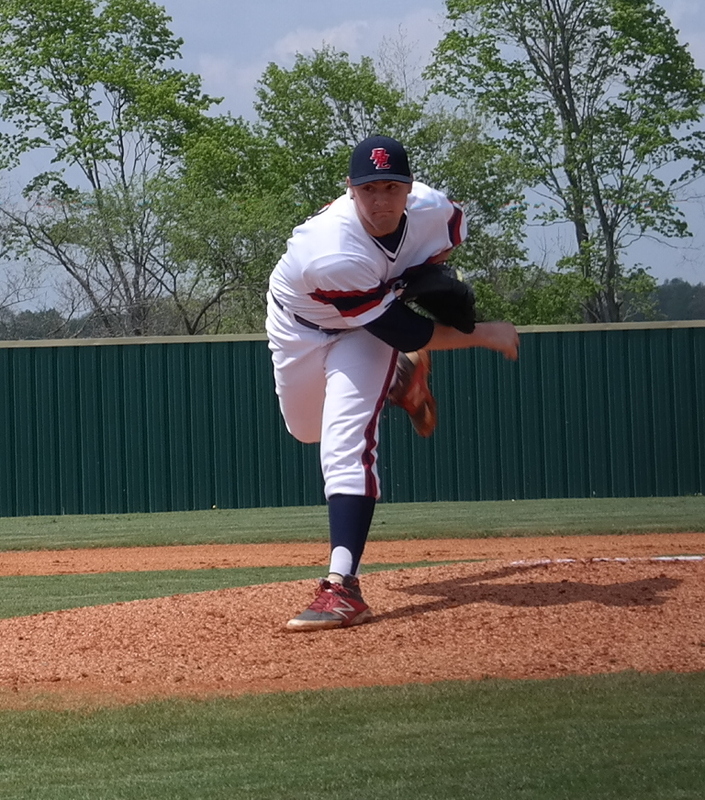 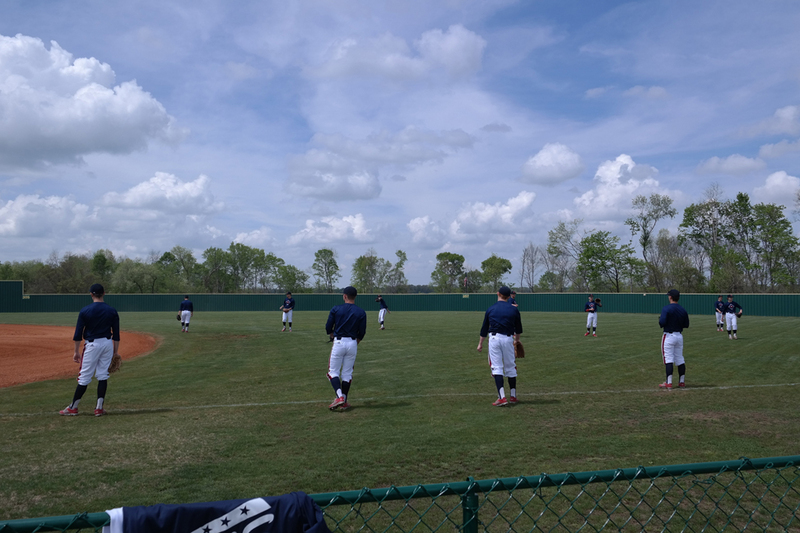 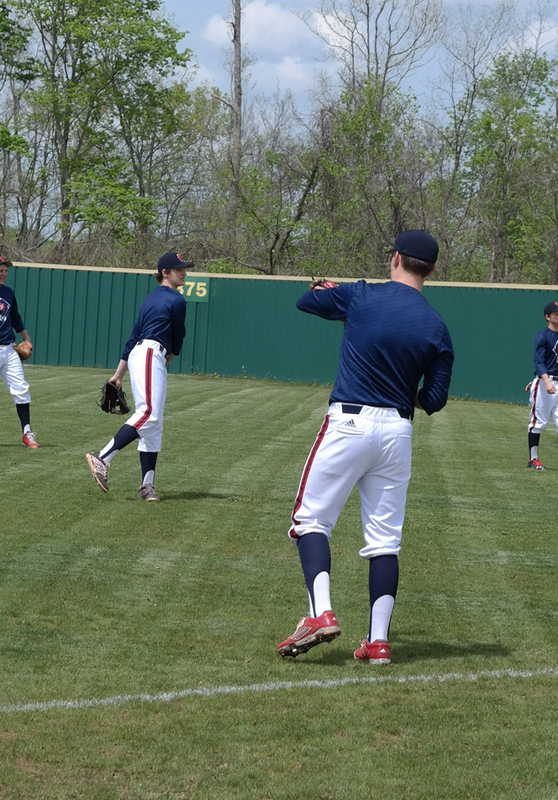 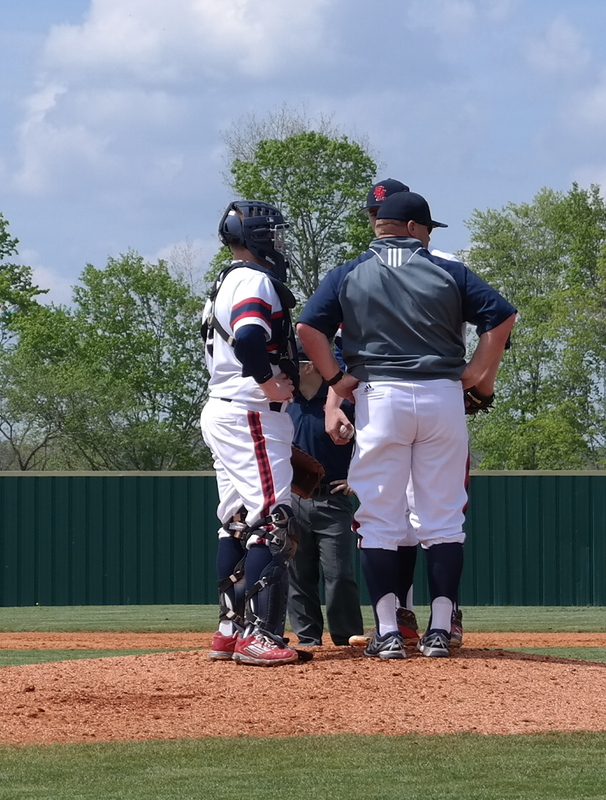 Austin Long and Tanner McBride kept the Cougars in check from the 6th – 9th when Goodpasture pushed across an unearned run in the top of the 9th. 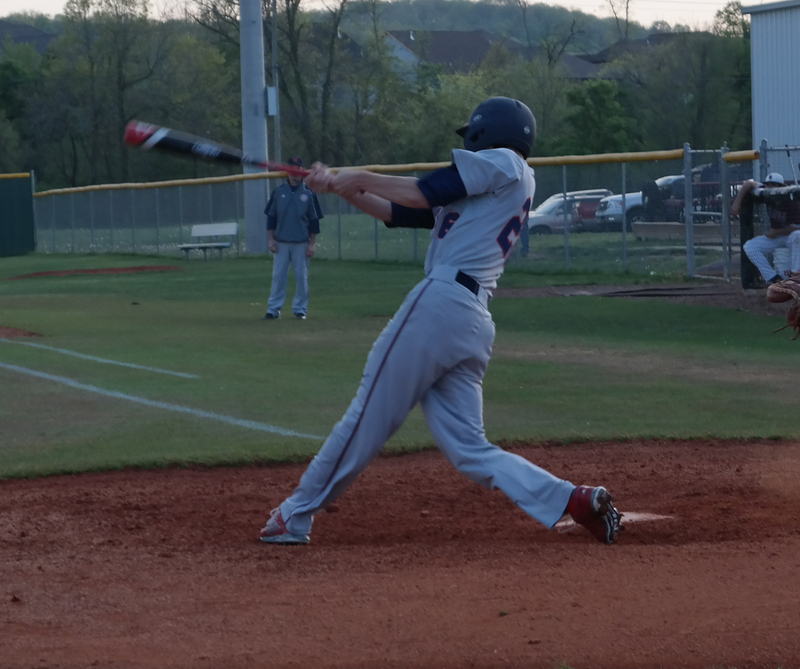 The Stars answered with a leadoff homerun from Cole Mathews in the bottom of the 9th inning off the Goodpasture closer Drew Hall. 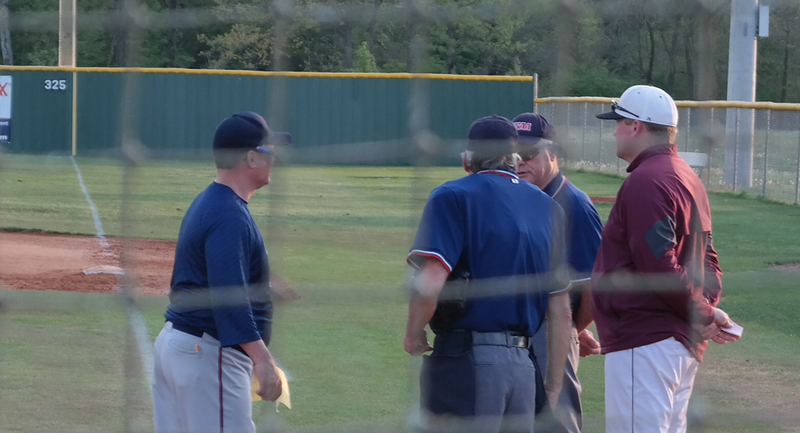 Both teams could not score in the 10th inning and the game was called due to time and another game to be played prior to darkness setting in. 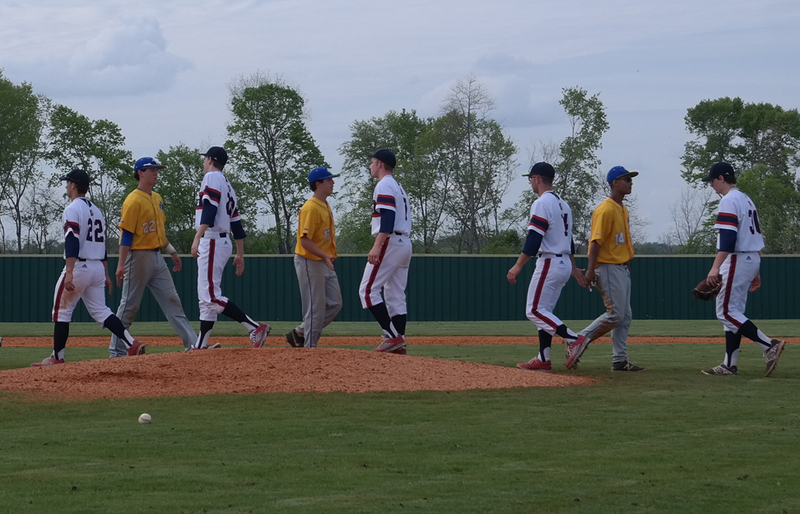 In the final game of the trip, the Stars (the home team) scored runs in 2nd, 3rd, 4th and 5th innings to cruise to a 6-0 win. 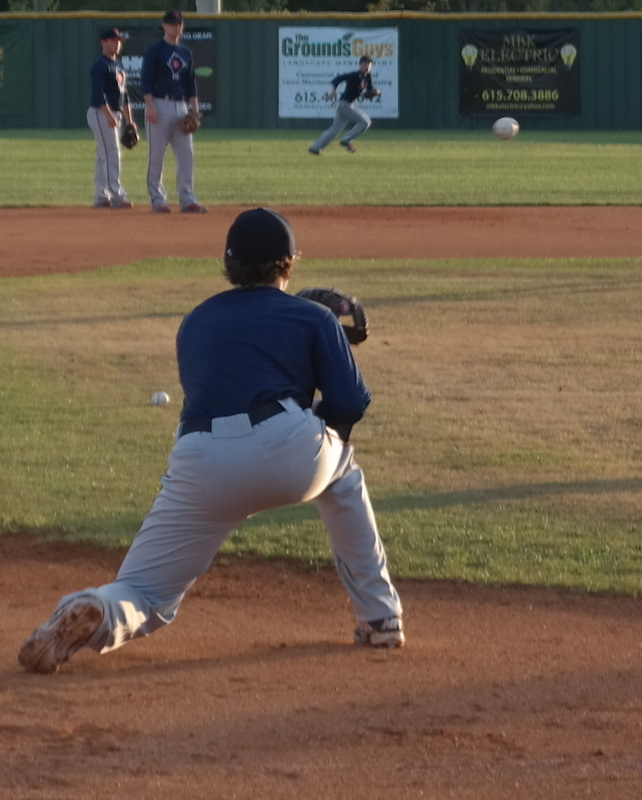 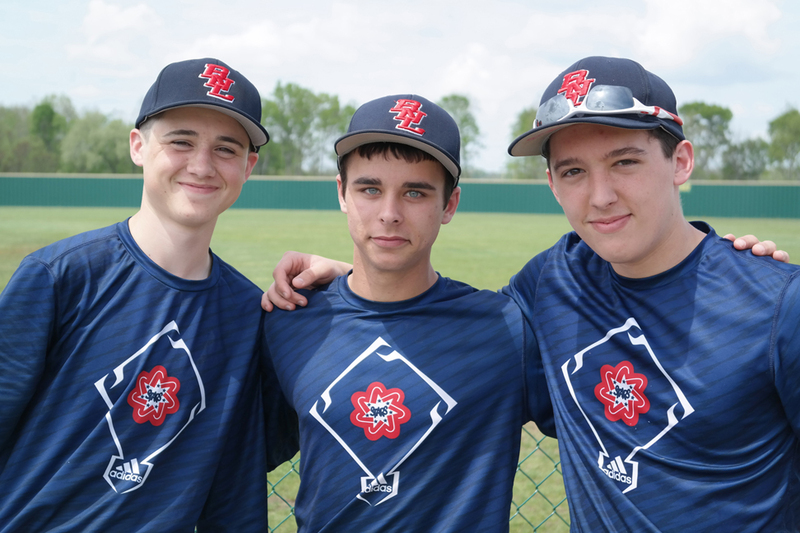 In the 2nd inning, Brody Tanksley, Jack Green (2B) and Austin Long had hits to produce the Stars run. 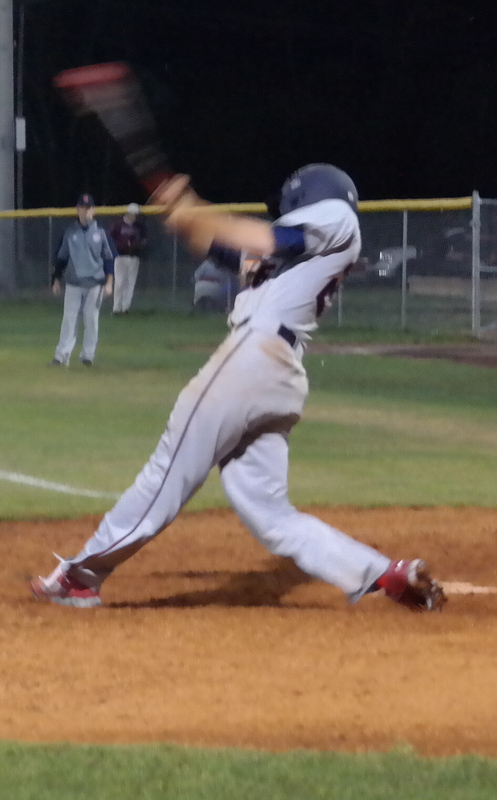 In the 3rd, Patrick Price doubled in Ronnie Watson to make it 2-0. 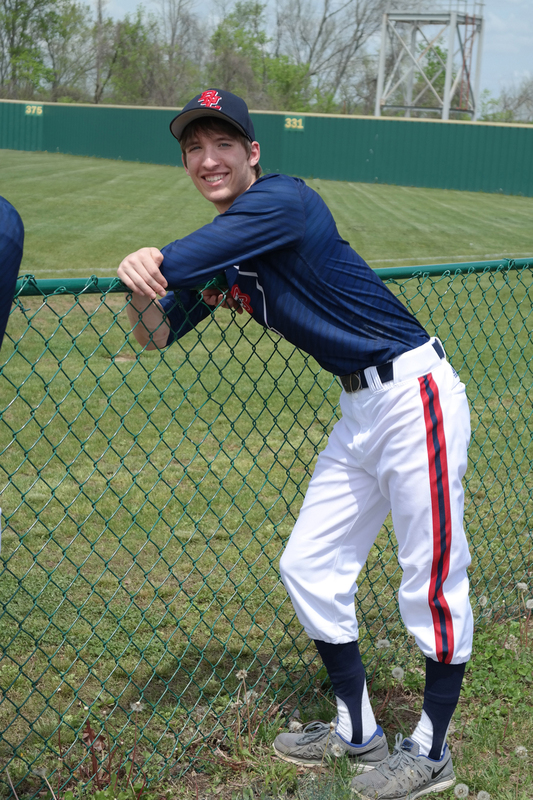 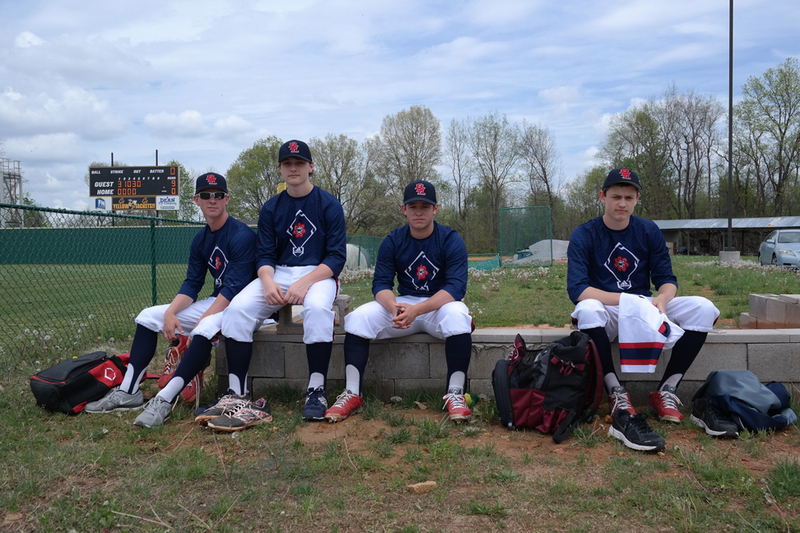 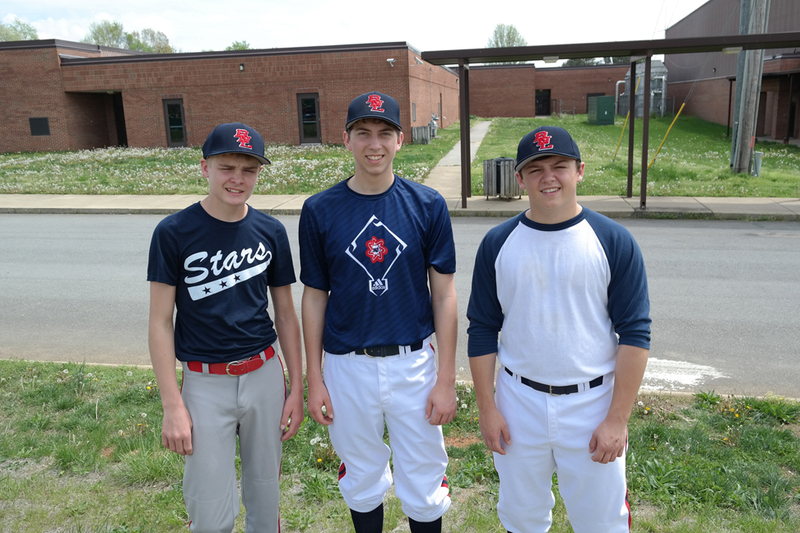 Hits by Jack Green, Brandt Callahan, Ronnie Watson and Drew Hensley provided 3 runs for the Stars in the 4th inning. 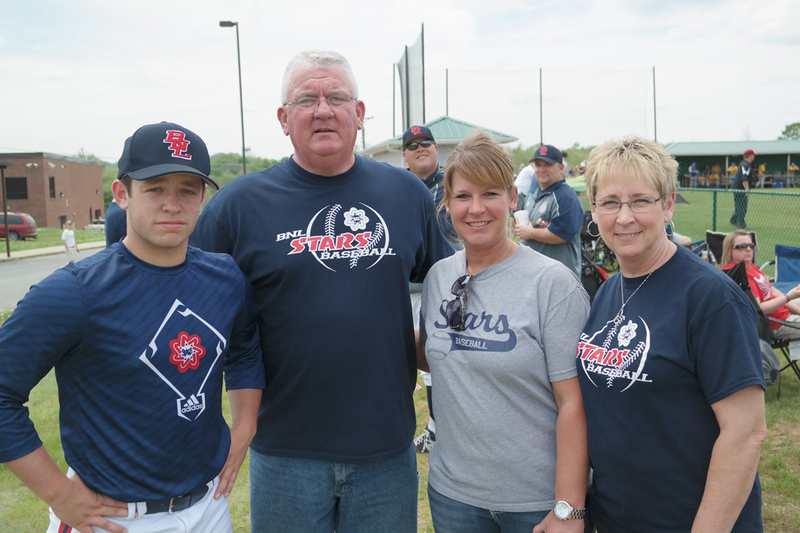 The Stars added an insurance run in the 5th with hits from Jack Green and Brandt Callahan. 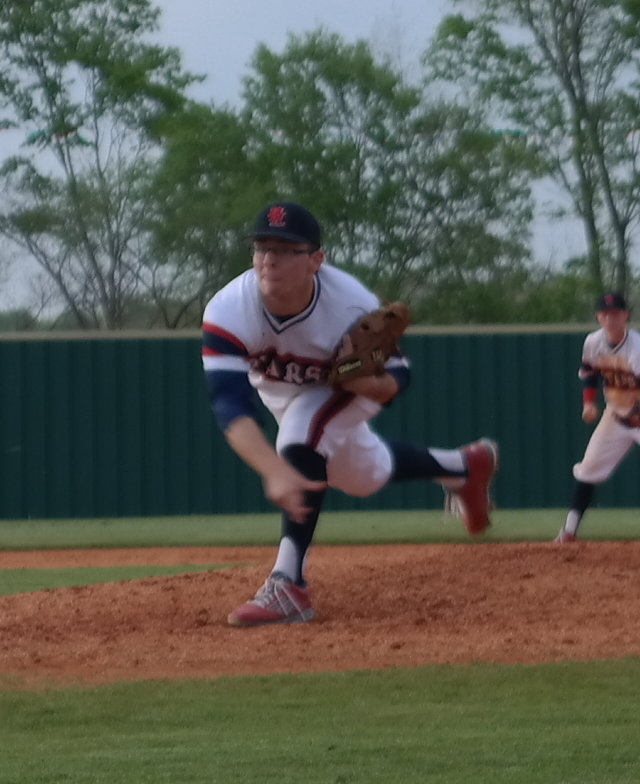 On the mound, Dylan Ragsdale was outstanding. 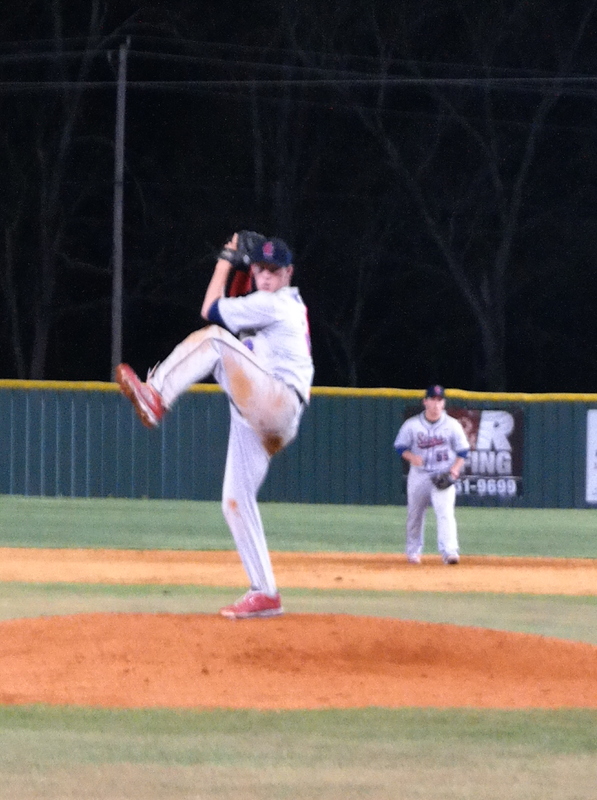 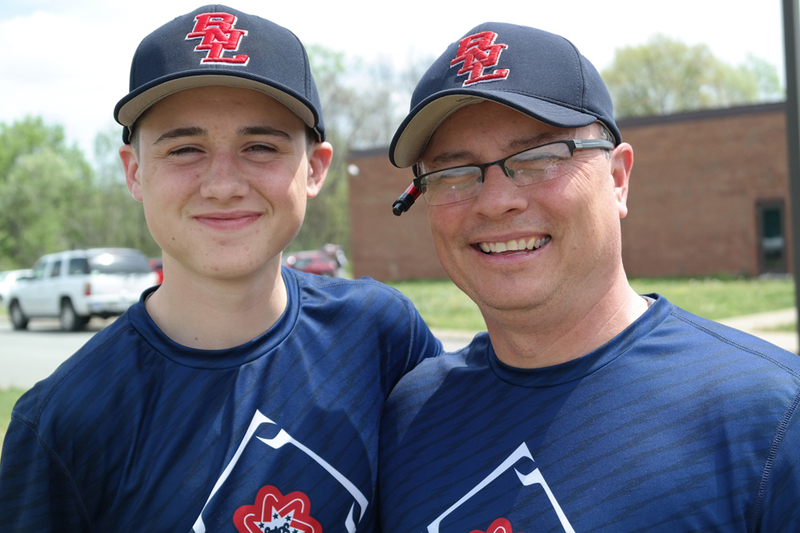 Dylan pitched a complete game allowing 5 hits 0 runs striking out 3 and walking only 2. 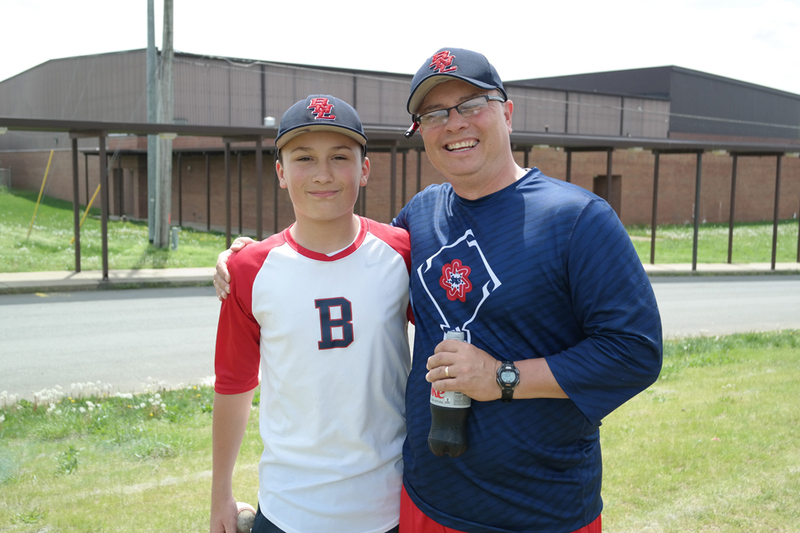 He improved to 2-0 on the season. 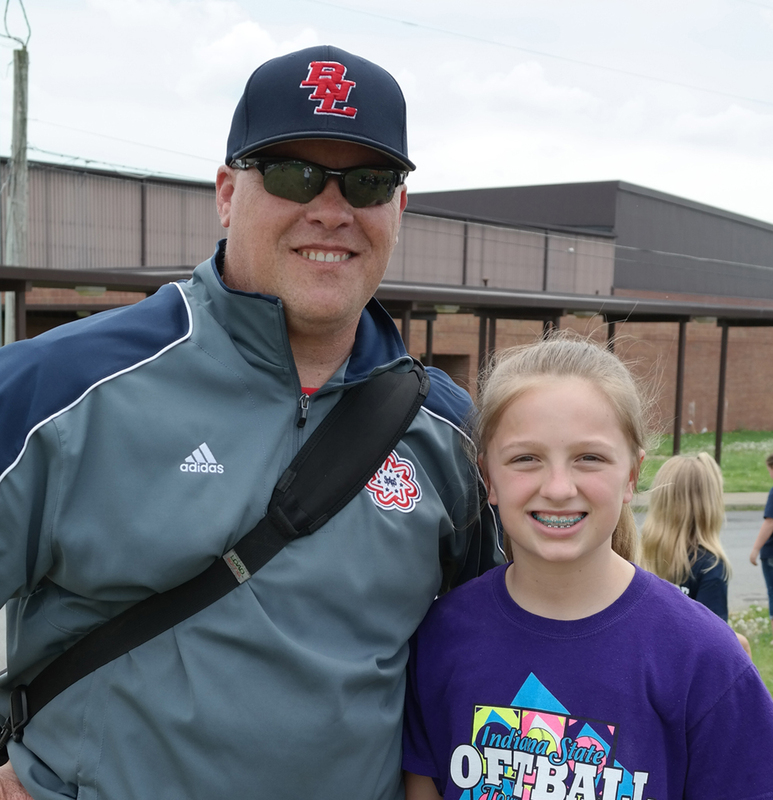 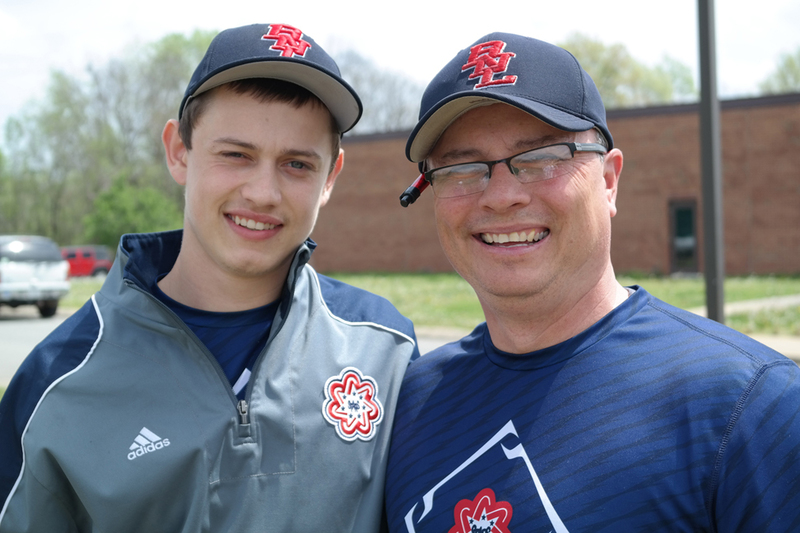 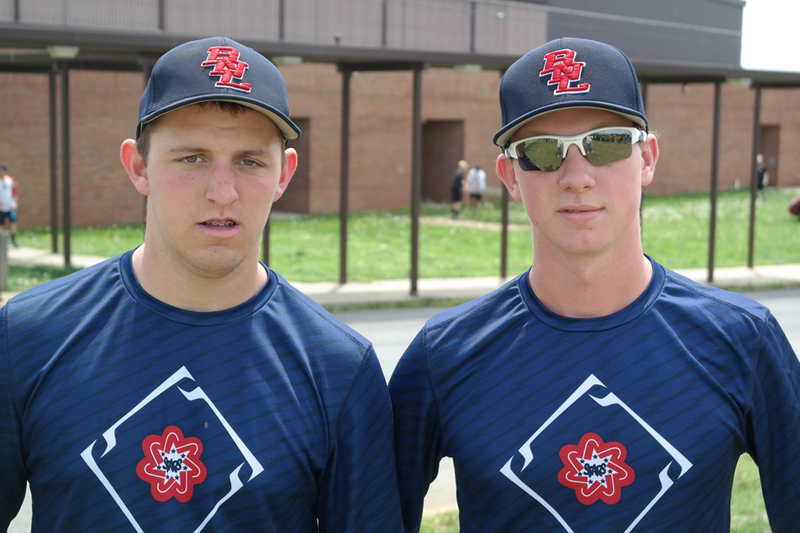 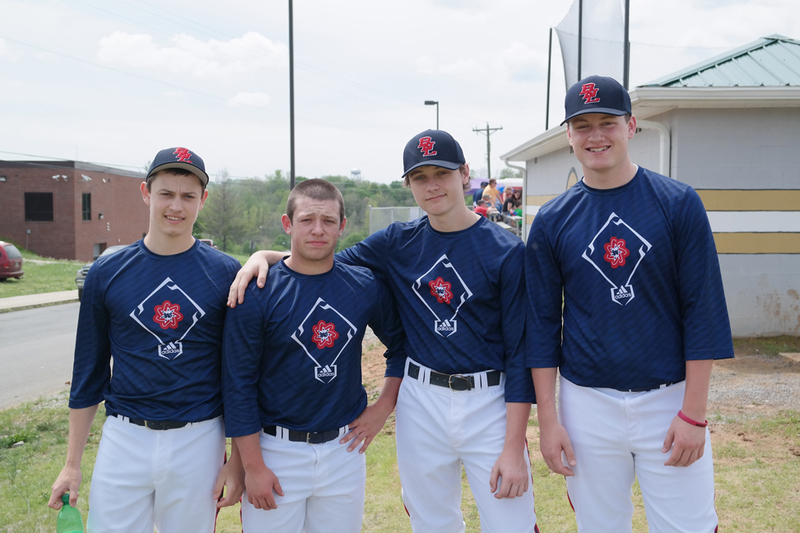 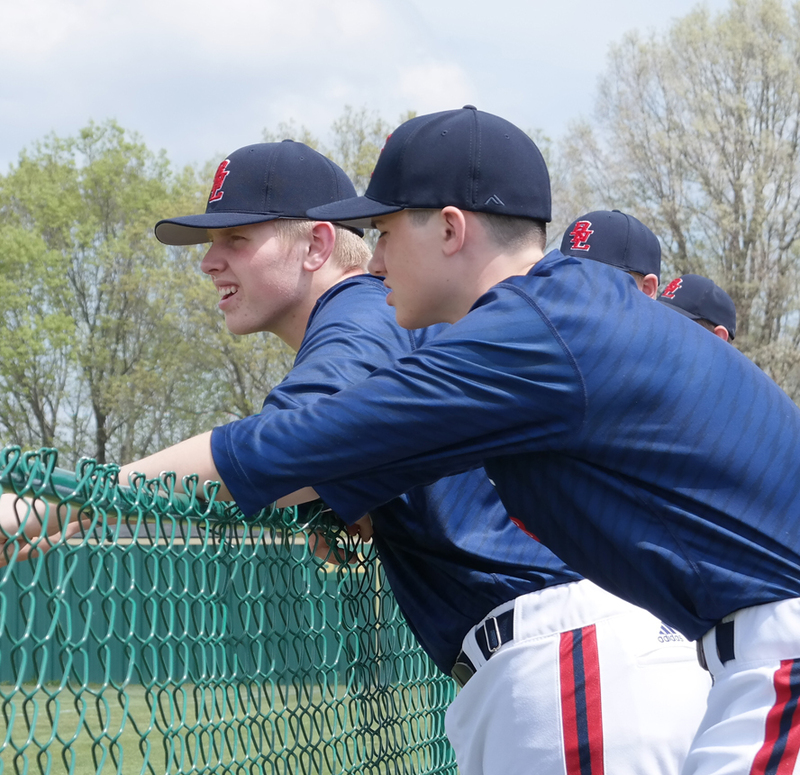 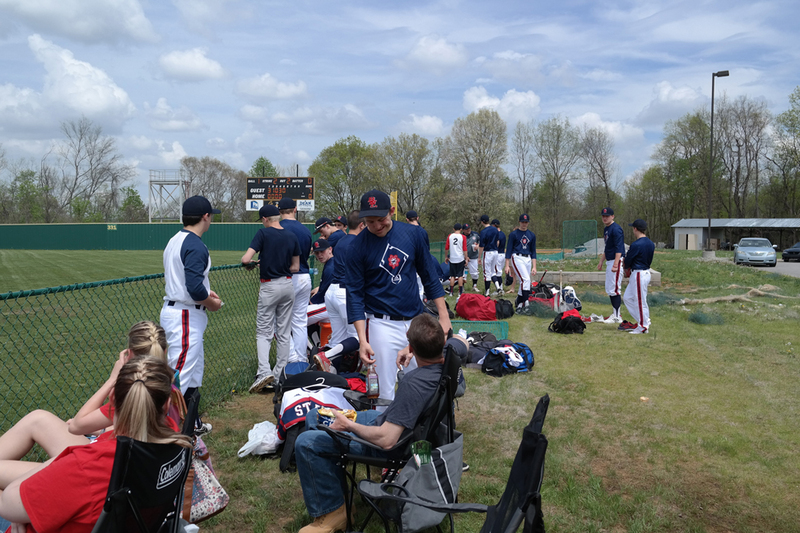 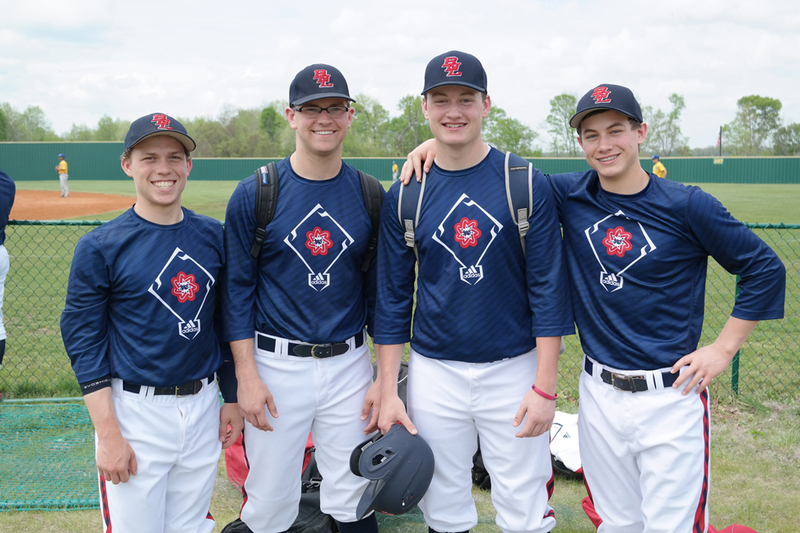 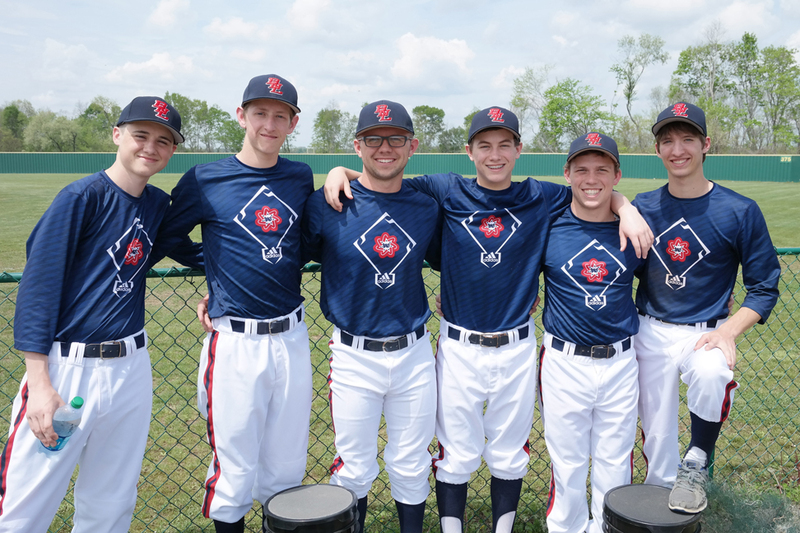 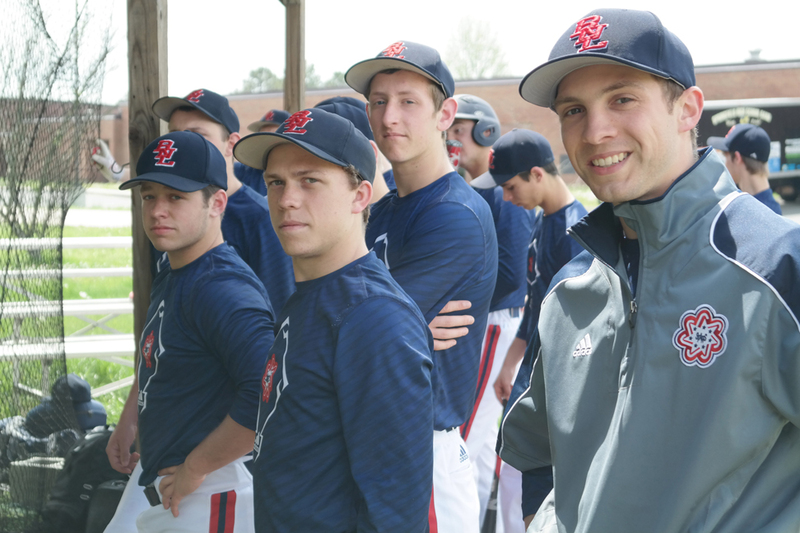 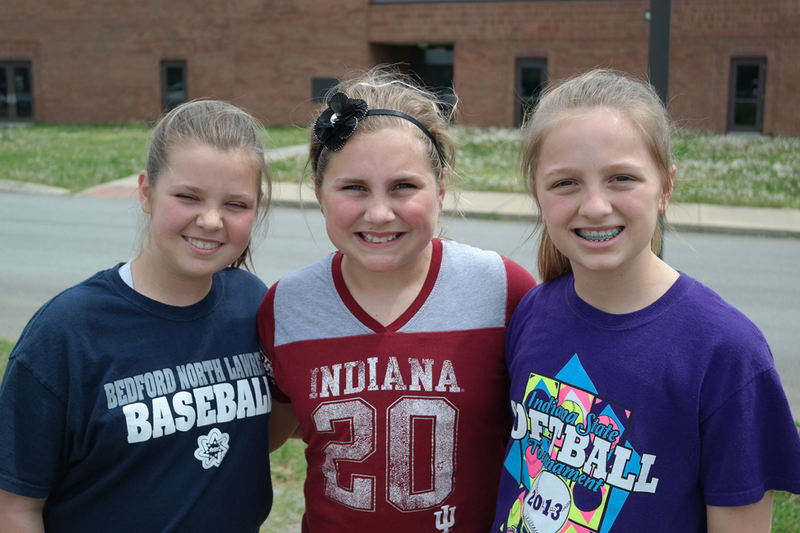 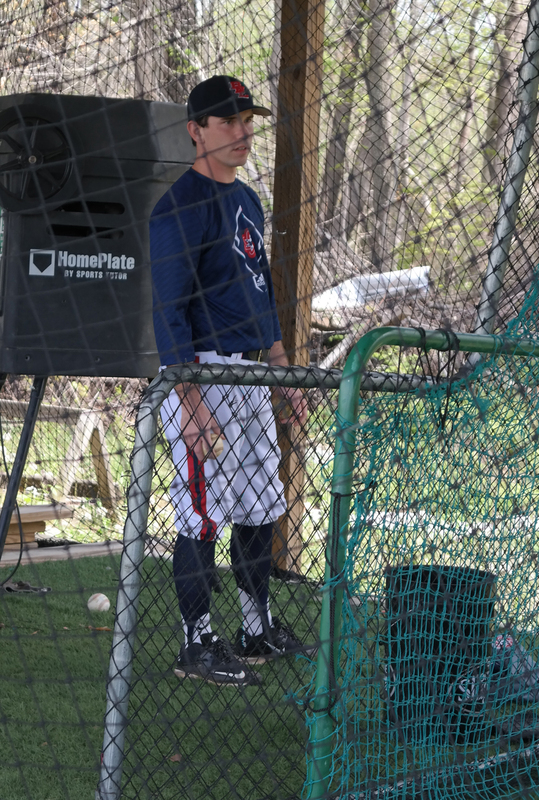 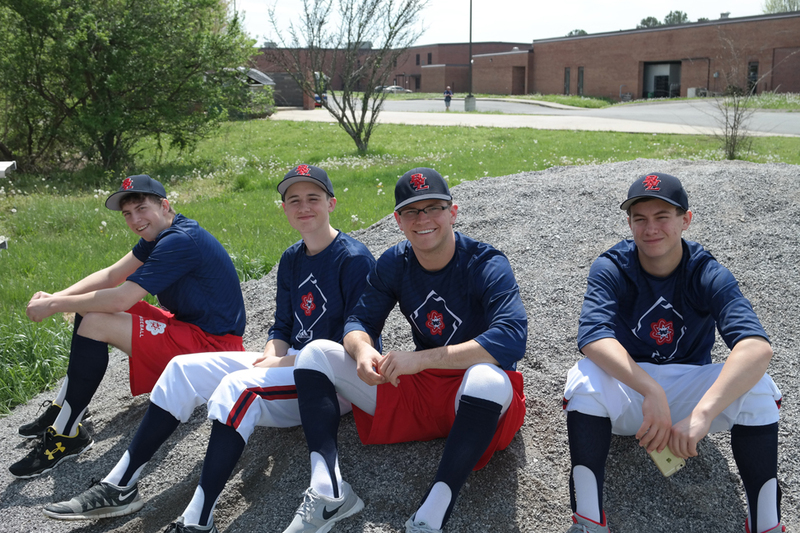 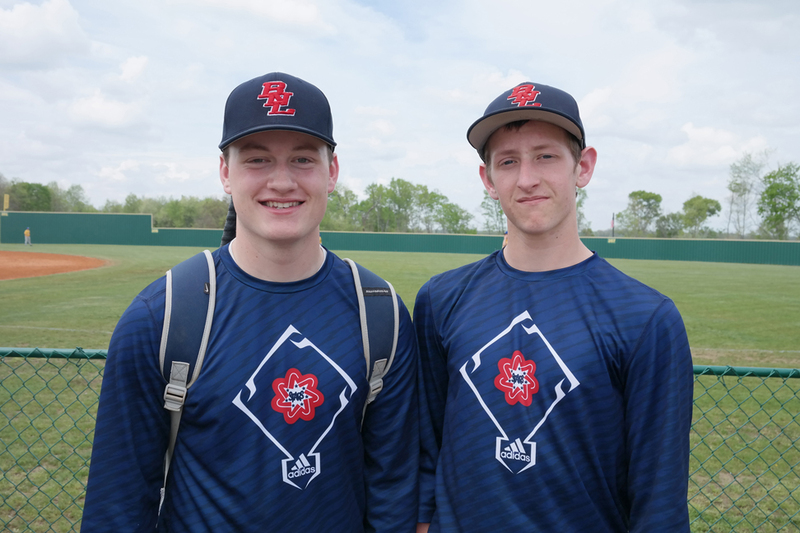 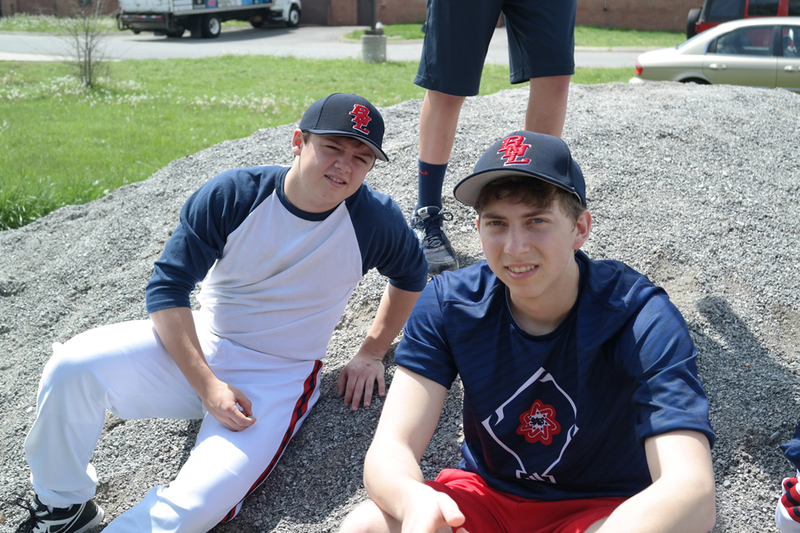 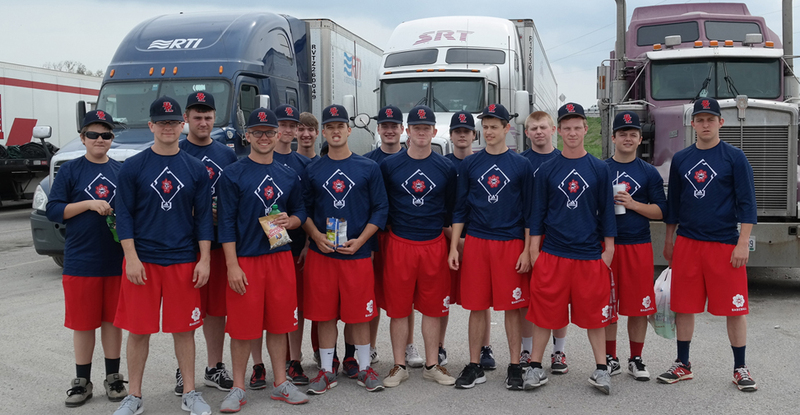 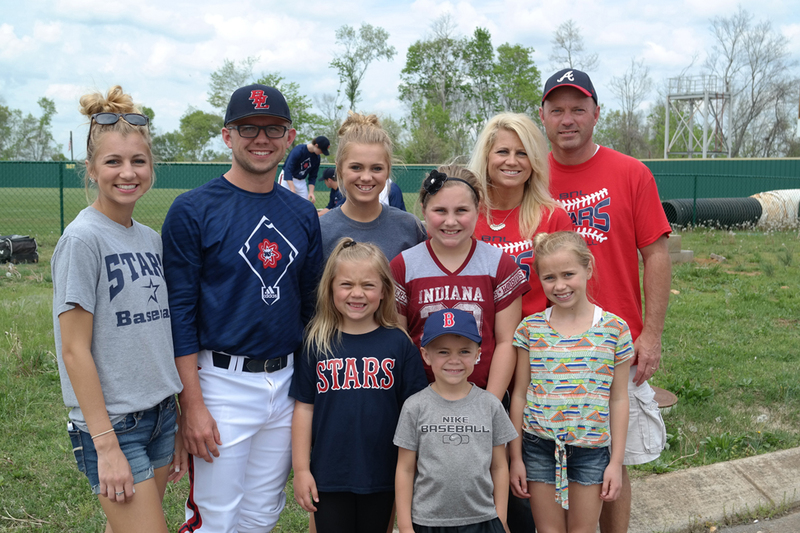 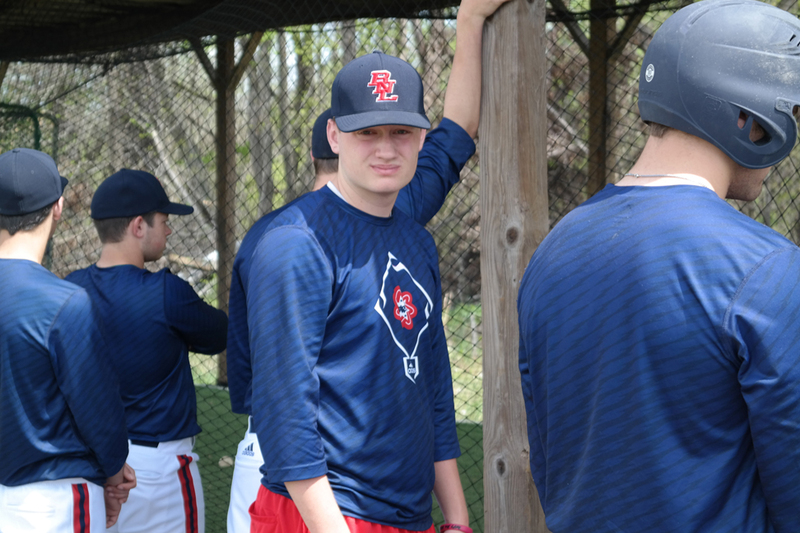 It was a great trip for the BNL Baseball Stars. 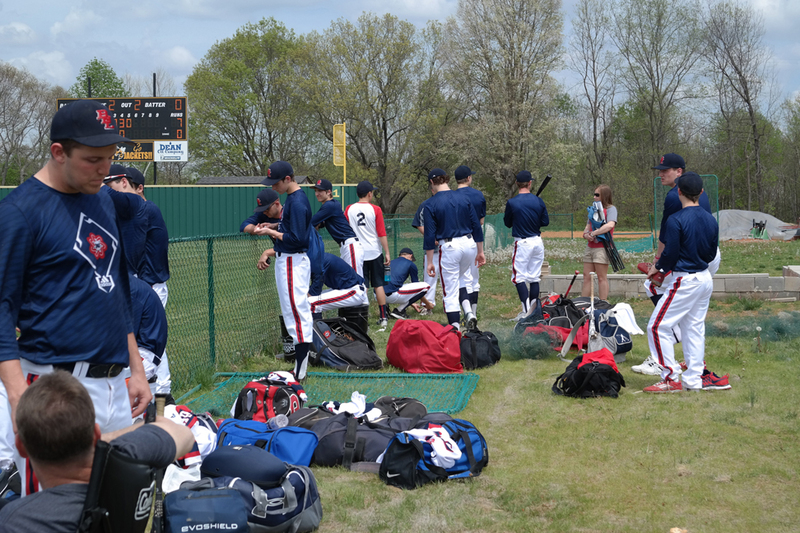 We were able to play quality competition while doing some team bonding/building on the trip. 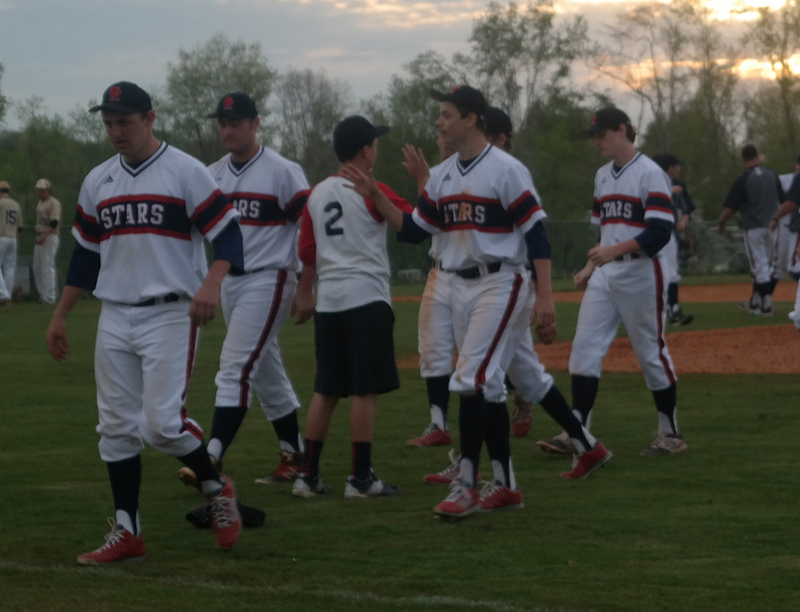 The Stars will travel to Nashville in 2016 to play Brentwood Academy, Christ Presbyterian and Centennial high schools.